"Beautiful clean building on bus route"
For information about this three bedroom apartment contact 519-746-5953. 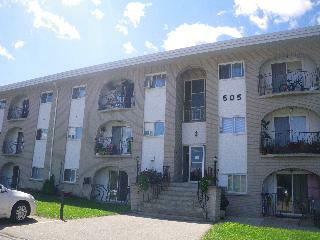 1, 2, and 3 bedroom units in well maintained 3 storey walk up building with controlled entry. Located across the street from the community centre and library. Schools and shopping are within walking distance and the local bus stop is at your front door. Super on-site 24 hours. Call us today at 226-339-4764 to book your showing!